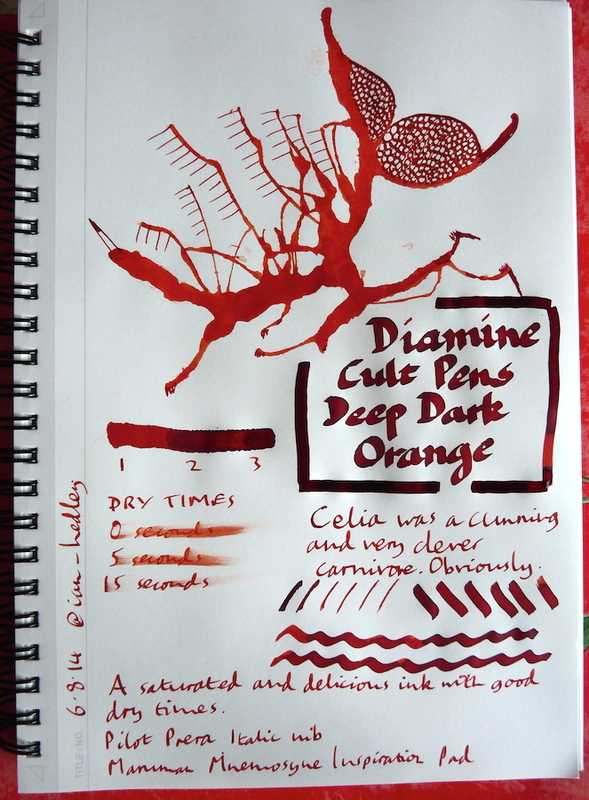 Diamine Cult Pens Deep Dark Orange ink review – Pens! Paper! Pencils! This is a fabulous burnt orange colour with some subtle shading and good dry times. 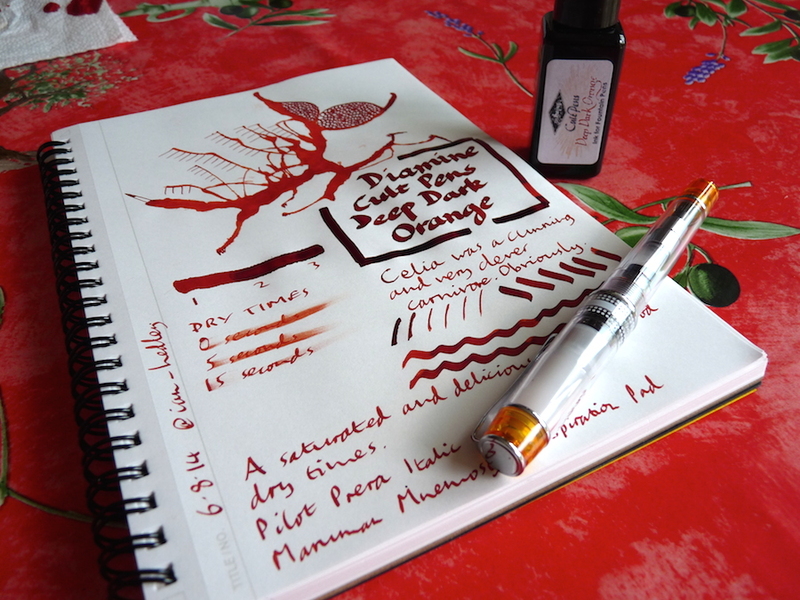 Diamine really does burnt orange colors well. I absolutely LOVE Ancient Copper.